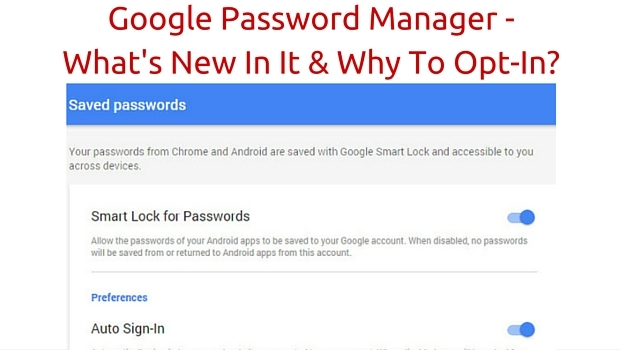 Google Password Manager - What's New and Why To Opt-In? The way Google Password Manager worked all these years was not too convenient. Having to sign-in to a site again and again is a drag for sure. Chrome and other browsers had solved this issue by providing an option to save our passwords. However this option is more like a substitute to the “Keep me logged in” option. And many a times when someone cleans their browser cookies, these login credentials disappear as well. So it has never been too convenient for us to have instant access to our apps or websites without having to go through the annoying process of logging in. Also it’s a headache when you forget your password and have to try in different ones hoping and praying to God that one of them works out. And Alas! When it doesn’t then going through the tiresome process of retrieving access to your account is the last resort. Good news anyhow! For things won’t be the same as Google announced the launch of ‘Google Identity Platform’ at I/O 2015 conference – a suite of developer tools that has introduced a new Google Password Manager for us! What’s new in Google Password Manager? The previous Google Password Manager has now been taken to the next level, that will make login procedures for websites and apps less bothersome. The new Google password manager is called Smart Lock for Passwords. It is built into Google account, and it can provide you instant access to your Android apps and websites on Chrome. The idea of Smart Lock for Passwords may not sound something out of the box to those who have already used something similar, like Lastpass, nevertheless this is one good initiative by Google, and will surely change for good the way apps and websites currently operate. 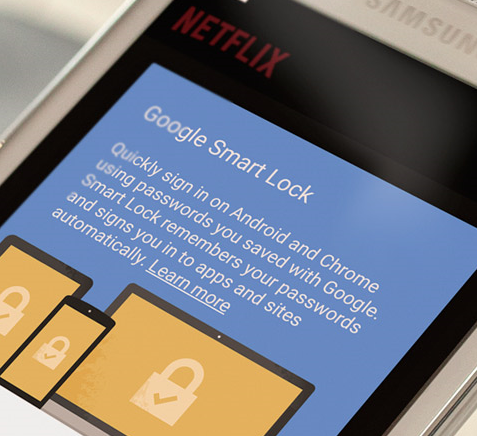 Anyhow, Google may take some time before Smart Lock is widely used on every platform. Because for sporting Smart Lock feature, app developers will need to integrate it in their apps using Google’s Smart Lock API. Google claims that their new Google Password Manager will increase the rate of sign-ups and sign-ins, the fact being how bothersome it is to manually enter login credentials. And this might be one of the reason why many big names are supporting this initiative by Google. For example Netflix, LinkedIn, New York Times, InstaCart etc. Why to Opt for Google Password Manager? With the help of Google Password Manager you can access your apps and websites without the need of logging in repeatedly. Smart Lock simply helps you get rid of the need to manually login. It’s 2015 after all! And in this era everything is preferred to be automatic. All that you need to do is to allow Smart Lock for Passwords to save your login credentials once, then there will be absolutely no need to manually login on your Android mobile device or chrome; app passwords and chrome passwords both will remain saved. And as Smart Lock syncs all your devices, once your login credentials are saved in a particular device, it will also work on another. Many people may feel skeptical to allow Google access to their accounts. To think that Google would have access to millions of users is no less than saying that Google would have access to a magnificent treasure. However, Facebook has been invading on our privacy since long, but people don’t seem to care about it as long as they possess the convenience of the best social networking site. Similarly convenience through this new feature may outweigh the insecurity of providing Google with your login credentials. Anyhow, Google itself doesn’t want you to feel that insecurity. And so Google has said that it will add support for sync passphrase on Android, so that users can encrypt their passwords, preventing Google from reading them. In the end, it’s just an optional feature, so it’s totally up to you whether you wish to use it or not.